Farmers Will NEVER Do This Ever! 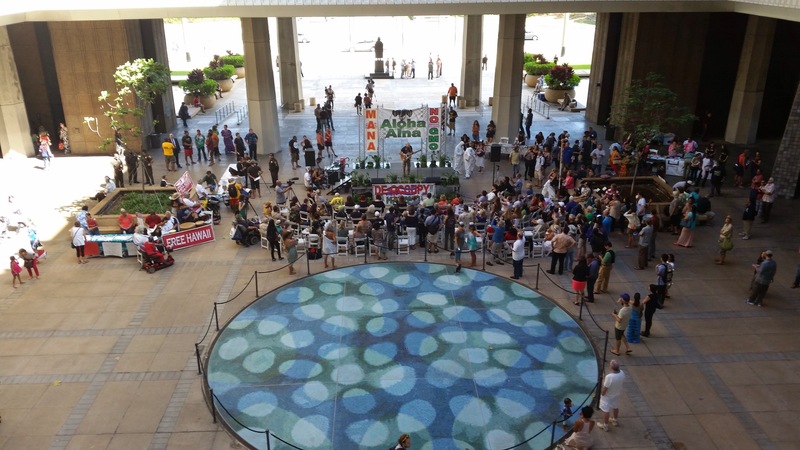 This past Wednesday was opening day at the Hawaii State Legislature. There was a lot of festivities including an anti-GMO protest. Forget the fact that many of these folks burned quite a bit of GMO fuel, was dressed in GMO clothing, wore hazmat suits made by the “chem cartel” and likely ate some GMOs while there, they wanted it banned and companies evicted. The protesters were there to tell our legislature that this was the most important issue to be addressed in the upcoming session. This is one event that you’ll never see a farmer at. You won’t hear any loud chants or see huge banners or costumes on farmers. You won’t see the internet bombarded with posters and memes inciting others. He won’t be sitting at a cocktail party with a speaker worth $40k. Why? They know that a protest and social gatherings means lots of lost time and daylight being burned away from them working in their fields or squaring away the books. The 1.5% of our population doesn’t have time for these things. One day protesting doesn’t pay their bills or their workers. Neither does it get any product to those that are depending on it. It doesn’t matter if this is a big farm or small one, both have a plethora of things to do to keep it running and growing things. So yes, the protesters are loud and an intimidating bunch of folks whole relish being in your face. Fact is, who is really doing the work to feed and grow things quietly in the background? Who is getting their hands in the dirt daily and sweating in the sun? Who comes home everyday covered in grime with achy backs and muscles? Who sits hours at a desk after a hard day’s work to pay his taxes and make sure workers get paid? Who spends their weekend servicing delivery trucks and tractors to make sure it’s in working order for the following week? Who stays outside from before the sun is out to the early evening hours to maximize the natural light to work under? The answer is easy. It’s a farmer who does all of those tasks and even more to grow Hawaii. When it comes time to deciding on policy making, who deserves to have the louder voice, that hard worker who actually has his hands in the earth or the numerous loud folks who stand on the earth but don’t actually yield anything from it? This is the year to really consider the best practice for policies in Hawaii. I sure hope our politicians and the public take the time to decide what is truly best for our future. May this be the year for the farmer! This entry was posted in The Farmer's Perspective. Bookmark the permalink.